Enabling the RSS feed is as simple as checking a box in the Remote Notification settings, or two check boxes if you prefer that the feed be protected by requiring authentication and a secure https connection. 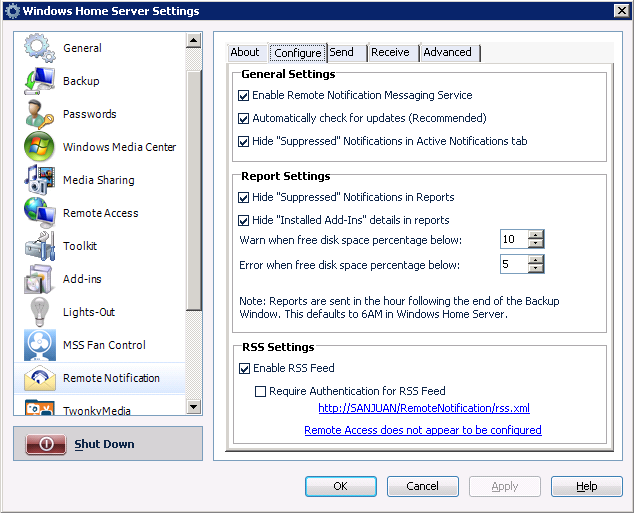 Note that Remote Access must be enabled on your Home Server in order to access the RSS feed from outside of your local network. After you have configured the RSS feed, learn how to access the RSS feed.